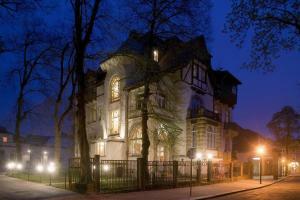 This hotel is an Art Nouveau villa in the elegant Weißer Hirsch district of Dresden. 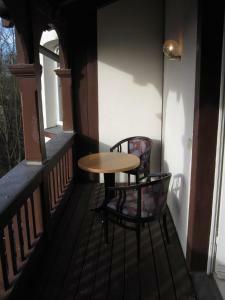 It offers a wellness area with sauna, and rooms with historic charm and free high-speed Wi-Fi. 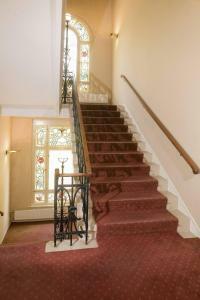 Built in 1906, Hotel Sax Imperial provides bright rooms with large windows. Every room has cable TV, a work desk and a private bathroom with bath and hairdryer. A breakfast buffet is available each morning at Sax Imperial. Fresh Asian cuisine and fine wines are served in the Sushi and Wine restaurant. Guests at Sax Imperial can relax in the hotel sauna or go walking or cycling in the nearby Dresdener Heide (Dresden Heath) Nature Park. Sax Imperial is 100 metres from Plattleite tram stop. This offers connections to Dresden city centre and Dresden’s Old Town with the Semper Opera and Frauenkirche church.